There’s no better way to kick off the summer than with a countryside road trip to a new place. 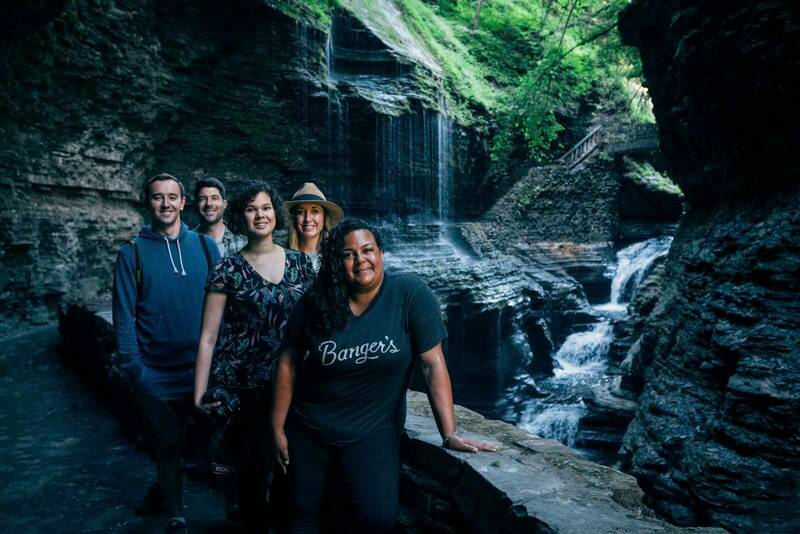 For the first time ever we have had the chance to visit the Finger Lakes in New York to drink local wines and sip on local craft beers, see the natural beauty of the area from the Finger Lakes to all the waterfalls, and experience the best of what the area has to offer. We came with not too many expectations knowing we have a good time just about anywhere we go, but we left from our week in the Finger Lakes feeling this deep desire to come back. From the plethora of outdoor activities, scenery, friendly locals, charming small towns, to the wine. We’ve decided the Finger Lakes is one of the most underrated destinations in the US and deserves much more attention from not only domestic travelers but international travelers as a perfect place for a family vacation, couples romantic getaway, friends trip, or just a road trip check out why we think the Finger Lakes deserves to be on everyone’s radar. We hate to admit this but we came to the Finger Lakes not expecting much of the wine. We were expecting all super sweet wine that we would have loved as a 16-year-old kid sneaking our first drinks at a party with something that tasted like alcoholic fruit punch. Growing up in Northeast Ohio, anytime anyone came back from Upstate New York or the Niagara area they would bring home this syrupy, sweet Ice Wine. I loved it when I got to taste just a tiny sip as a kid, but as I got older my taste buds changed and I developed more of, what I’d like to think, is a finer palate. This is where the first large surprise came at the Finger Lakes. 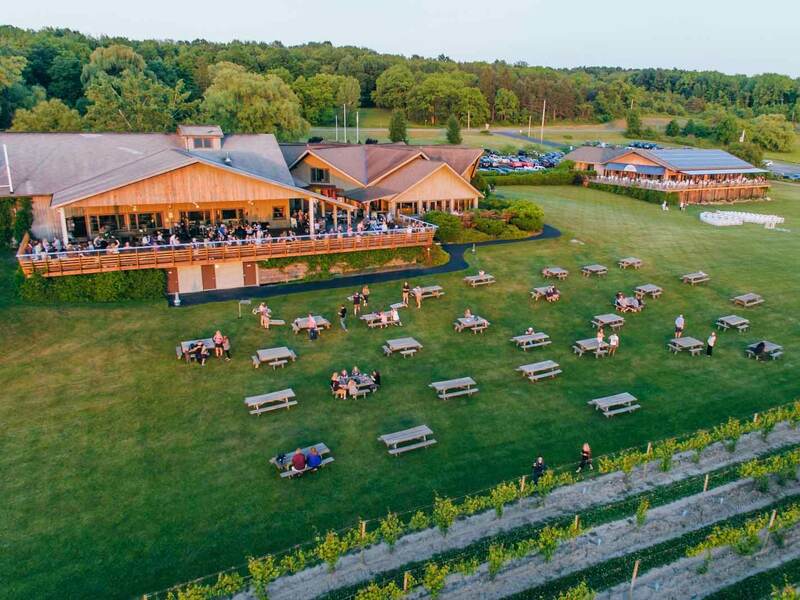 Our very first stop was Hazlitt 1852 Vineyards where we felt like we were joining the local Friday night party and the perfect way to welcome us to a week at the Finger Lakes. The vibe was fun and this is where people came to unwind after work on a Friday night and kick off the weekend. We were asked what we’d like and tried their signature wine slushies. At first, this confirmed my initial beliefs, that all the wine of this region was sweet, but oh so tasty. I could see why people and why we loved this drink, it felt like a way more fun version of a 7 eleven slushy, but we were still yet to try our first real Finger Lakes wine which would change our preconceived ideas of what the wine in the Finger Lakes was actually like. Our next stop along Seneca Lake for a Friday evening sunset was Wagner Vineyards, a family-run vineyard that gave me sweet memories of growing up on a family farm myself. It was time for our first sip of wine and I was ready for the shockingly sweet and syrupy taste and texture to hit my mouth but when I sipped and was suddenly surprised by the incredible dry Riesling that hit my taste buds. This would be the first of many, little did we know the Finger Lakes is incredible at growing and producing some of the country’s finest Riesling wines. This opened up a whole new world for us and we were ready to set off on our six-day trip of nothing but wine tasting and waterfall chasing in the Finger Lakes. Winery after winery presented an incredible array of different dry, sweet, reds, roses, and whites to try from. We were impressed to have walked into so many wineries that had dozens if not hundreds of medals on display from their award-winning wines. We really had the Finger Lakes wrong, and we’re not alone. This is one of the things that we took away the most from the area, the wine is not all sweet, you actually had to make a point to look for those super sweet wines. As a matter of fact, we tasted some of our favorite wines we have ever had at Keuka Spring Winery, from the whites to the reds, we had to take a few bottles home. The two of us were returning from a three month stay in Mexico and already had overpacked bags, had we prepared better we’d have come with plenty of room in our suitcase to bring back a ton of wine to show our California friends who are all convinced west coast is the best coast, especially with wine tasting what the Finger Lakes brings to the table. 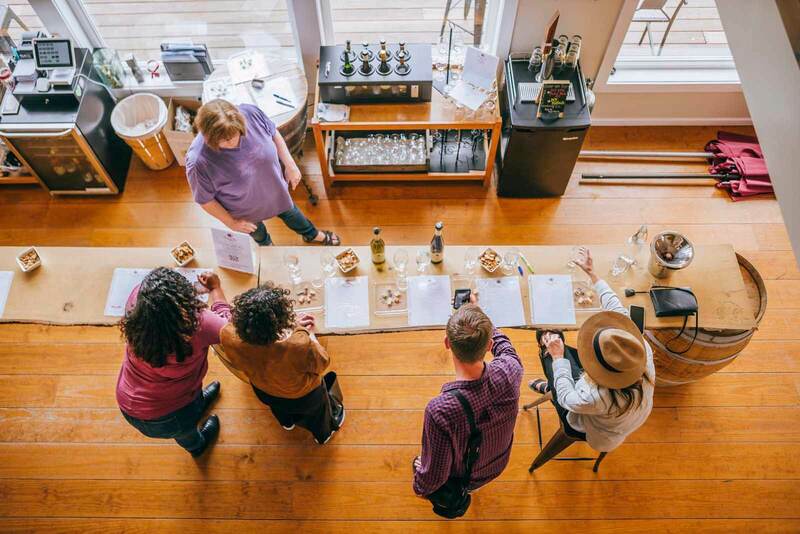 A nice, laid back wine tasting experience. Another thing we noticed was that the Finger Lakes wineries had was more of a relaxed vibe and atmosphere. We’ve been snubbed in wineries in central California during our honeymoon road trip, some wineries felt pretentious and well you weren’t good enough to be there unless you had deep pockets and were driving a car that cost six figures. The Finger Lakes wineries we visited, all 15+ had a more welcoming approach to their businesses that made guests and visitors feel great. From the family farms that have been passed down to generations, to the local hang out spots on a Friday night, to the friendly ladies and gentlemen running the tastings, we didn’t run into one pretentious person during our visit which left us wanting to come back for more. We have seen some amazing waterfalls during our travels and have admittedly not thought of the US as a place with great waterfalls outside of Yosemite or Niagara Falls. 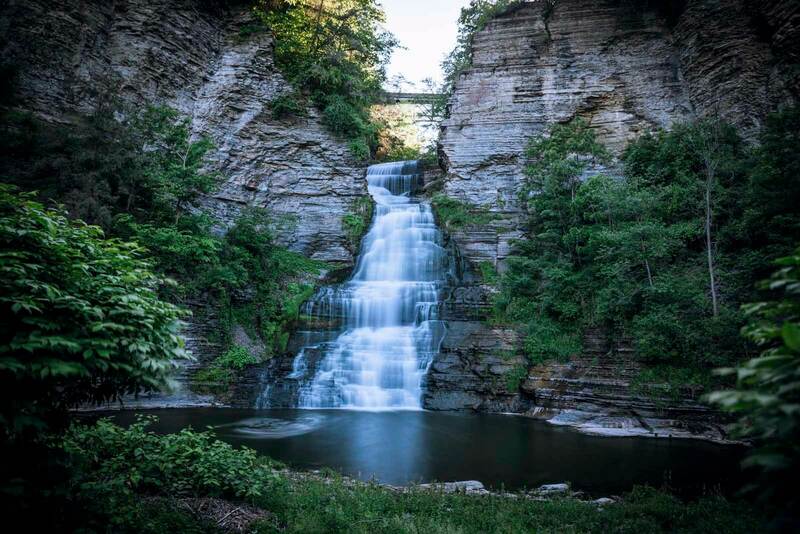 We were taken back by how many incredible waterfalls this region had to offer, and we didn’t even make it to Letchworth State Park or more than one of the 150 waterfalls around Ithaca; you can’t possibly see everything on one trip. yes, you don’t have to get out of the car to see this view. From the roadside Hector waterfall along the 414 to the valley of incredibly gorgeous cascading waterfall after waterfall in Watkins Glen State Park, to the private waterfall on the land owned by the Fulkerson family who also has an incredible winery and tasting room off of Seneca Lake. 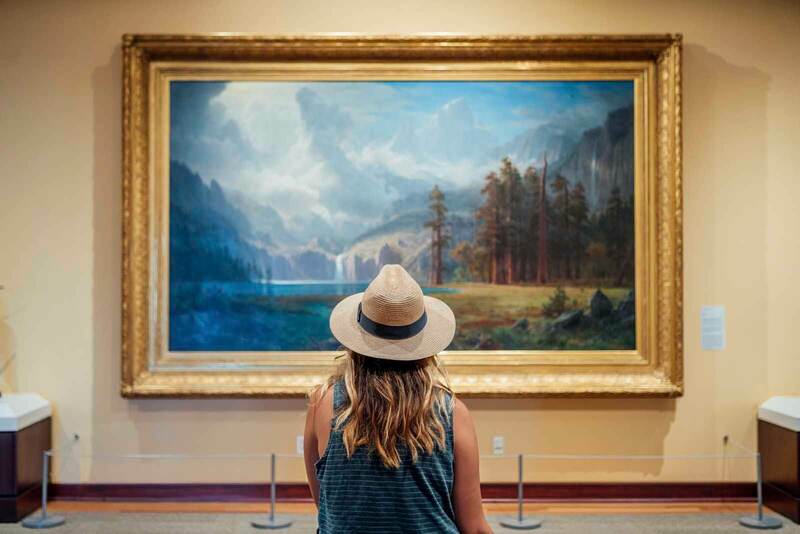 The waterfalls and views are endless here, you can understand how this area would inspire creatives like native Mark Twain. 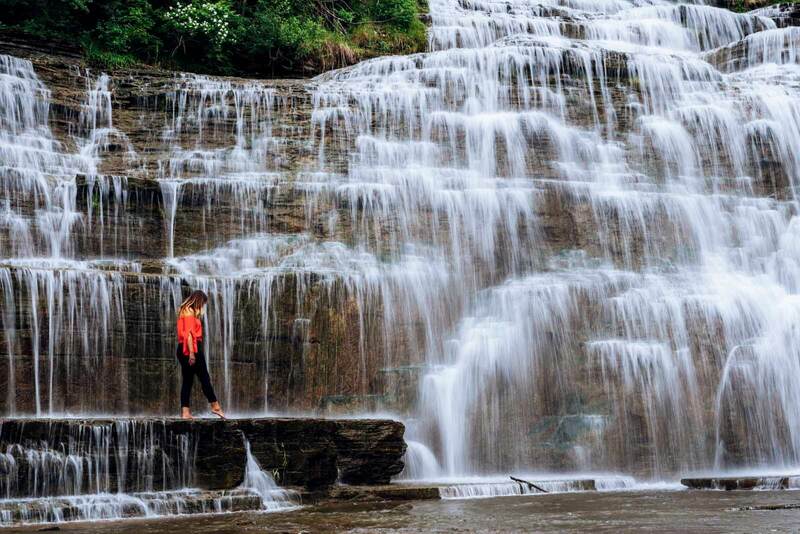 This waterfall is in someones backyard, not kidding. What’s exciting is we barely scratched the surface, we are excited to come back and chase down some more waterfalls of the Finger Lakes. 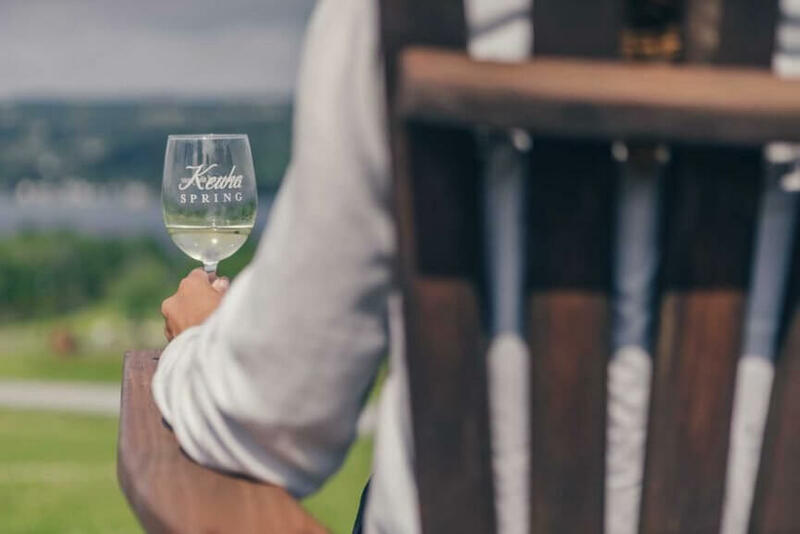 We wine tasted around the Keuka Lake Wine Trail which was not only scenic but probably had some of our favorite winery experiences overlooking the absolutely beautiful and interesting Y-shaped Keuka Lake. We also lightly explored the Cayuga Lake, which was technically home to America’s first wine trail right here in The Finger Lakes. 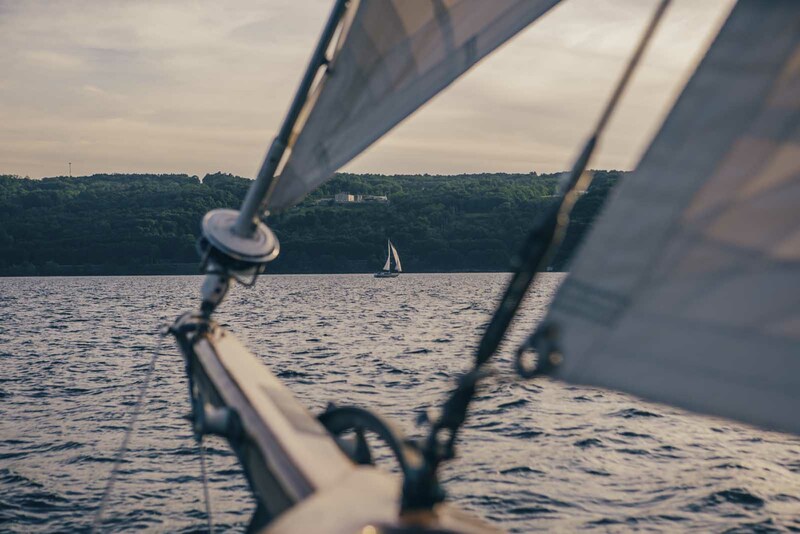 Our favorite and the most popular, of the Finger Lakes was Seneca Lake. 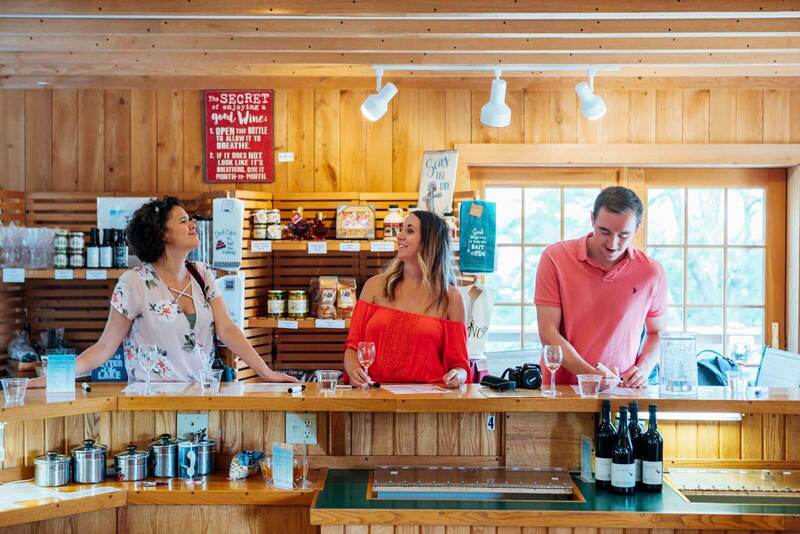 The deepest lake in the Finger Lakes region and home to over 35 wineries, it’s own roadside waterfall, views for days, breweries, and endless views. You really can’t come to this area and skip Seneca Lake. Waking up every morning at the lovely Harbor Hotel was an absolute treat right on the water. Enjoy breakfast or a cocktail in the afternoon overlooking the boats. One evening our hilarious and fun travel crew joined the schooner docked right here at the harbor, True Love, out for one of the sunset cruises for an unforgettable experience of sipping on wine, snacking on cheese and locally picked strawberries by one of the crew members on the True Love. Right as the sun was setting the crew started the music for a climatic ending to our two-hour sail along Seneca Lake. We had an idea about wine tasting and scenery before we came, but we were surprised to learn that Mark Twain resided here every summer for over 20 years in the Finger Lakes region in the town of Elmira. The same countryside and beauty we appreciated is also what helped inspire Mark Twain to write literary classics The Adventures of Tom Sawyer and Adventures of Huckleberry Finn. Twain loved the Finger Lakes countryside so much he and his family’s remains are in the final resting place of Elmira. 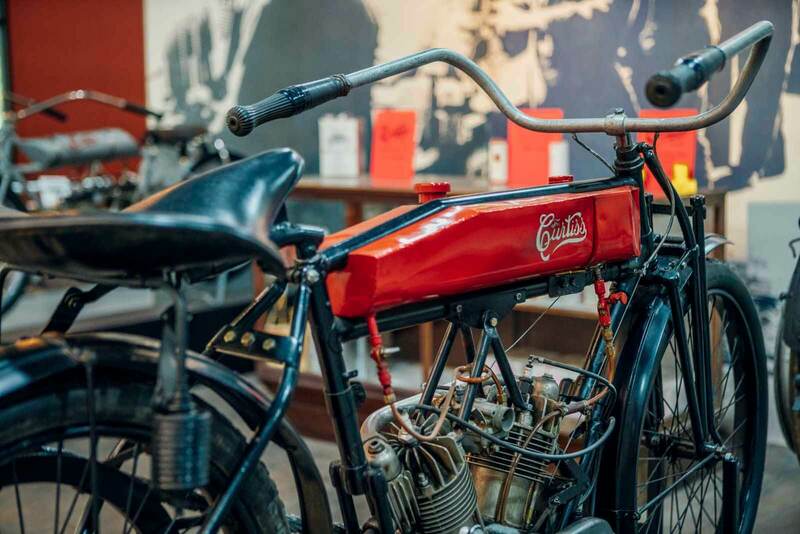 Twain isn’t the only historical legend from the Finger Lakes though, another noteworthy local and amazing museum to visit is Glenn H. Curtiss, a pioneer in the transportation industry mostly with aviation and motorcycles. We honestly hadn’t heard of Curtiss other than I remember seeing a few of his motorcycles on American Pickers, but we aren’t alone. It turns out Curtiss is just as important if not more than the Wright Brothers when it comes to the history of aviation, we recommend a stop at the museum to dig a bit more into this Elon Musk of the early 20th century. Another fun history lesson would be in the charming small town USA city of Corning. 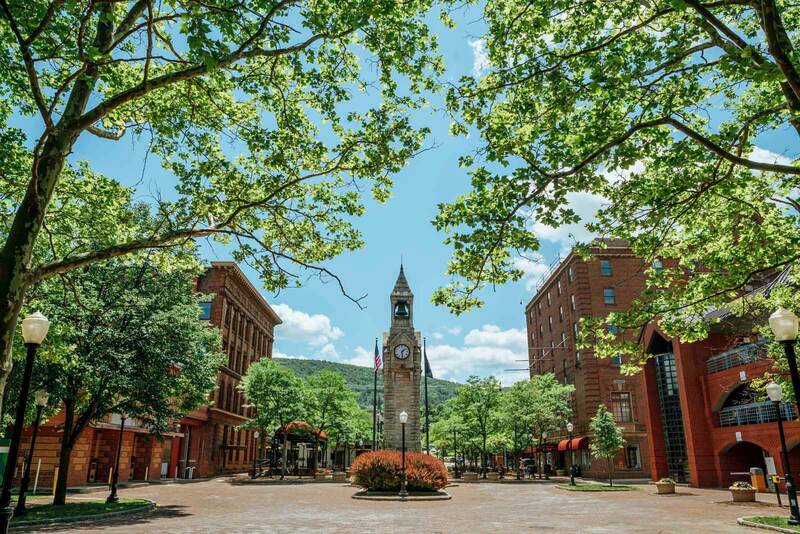 This town is famously home to the Corning Museum where Corning Ware comes from. If you’re not sure what that is, you’ll recognize it as soon as you see it because either you unknowingly have their ceramic or glass products in your house now or your parents or grandparents surely did. 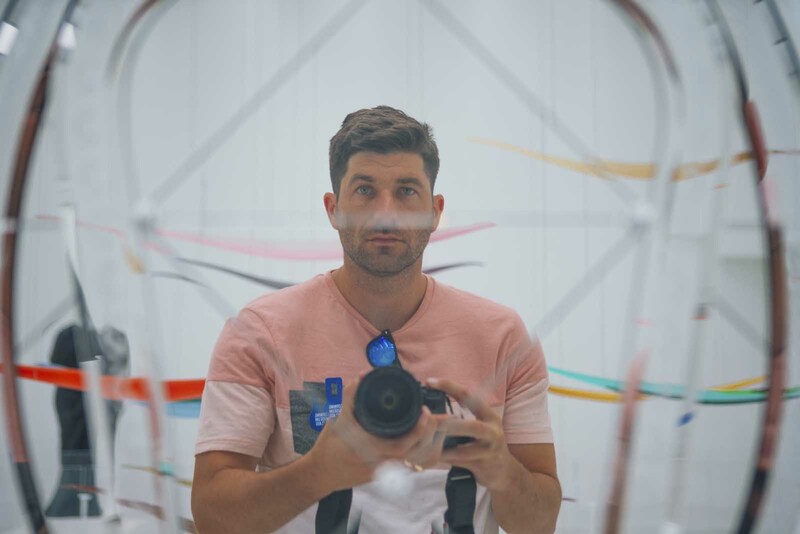 Check out the Corning Museum of Glass where you can dive deep into the history of glass making, actually make glass, play and learn with interactive exhibits, and be in awe by their glass sculpture galleries showcasing some of the coolest art installations we’ve seen. 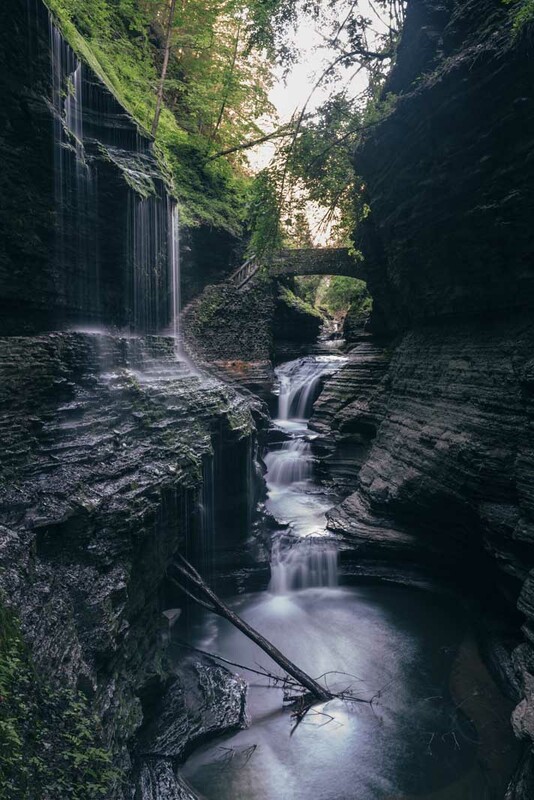 Something that the Finger Lakes region has, whether you’re in the town of Watkins Glen, in Corning, or just driving through town to town on your way to the next site you can’t help but notice the small town feel and charm each town has. People are friendly and welcoming, they love sharing their beautiful homeland and surrounding with their visitors. 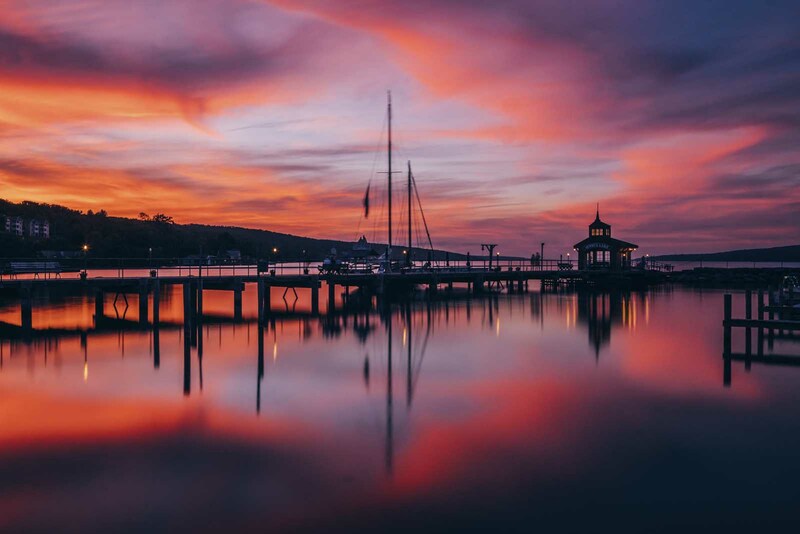 From the endless amount of wine drinking, waterfalls, lakes, sweeping landscapes, and countryside peacefulness we whole heartedly believe that the Finger Lakes is one of the most underrated destinations in the US. This is one of those places you can’t see it all in one visit, it will take years to explore everything and we look forward to returning in the future and revisiting some of our favorite spots as well as check out some of the spots we have yet to discover. Liked this post on the Finger Lakes region? Bookmark this post for later or share the love below on Pinterest.